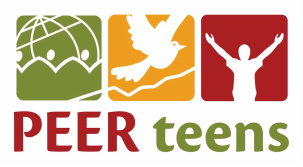 ​This website contains information about the PEER Teens program as well as updates from the various PEER Teens Chapters. A global community of teenagers who are learning together how to experience God’s kingdom and finding ways to extend His kingdom to others. What is the Biblical basis for PEER Teens? In Matthew 6:10 Jesus prayed "Your kingdom come, Your will be done on earth as it is in heaven." PEER Teens want to be a part of the answer to that prayer by embracing Jesus' vision and then using their time, strength and abilities to do His will right here on earth. 1 Timothy 4:12 reminds us that God has called the youth of our world to be examples in their speech, conduct, love, faith and purity. The global community of PEER Teens are encouraging each other to joyfully obey. Who are the PEER Teens?